Storage that works for you. Through smart engineering and innovative construction techniques Knoll has achieved a lower-priced storage collection without sacrificing quality, aesthetics or, most importantly, durability. 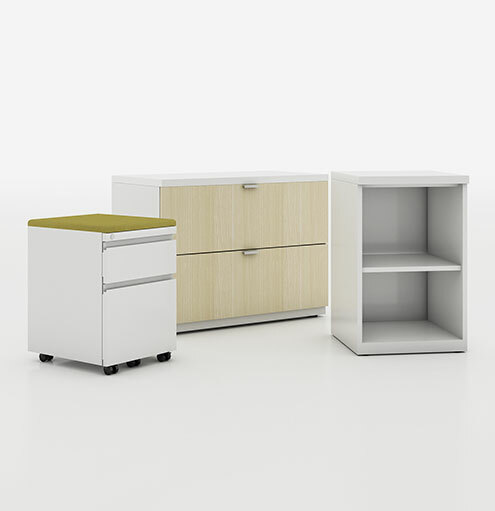 The affordable Series 2 collection, featuring numerous finishing and detailing options, provides attractive supplemental storage for any Knoll office system. 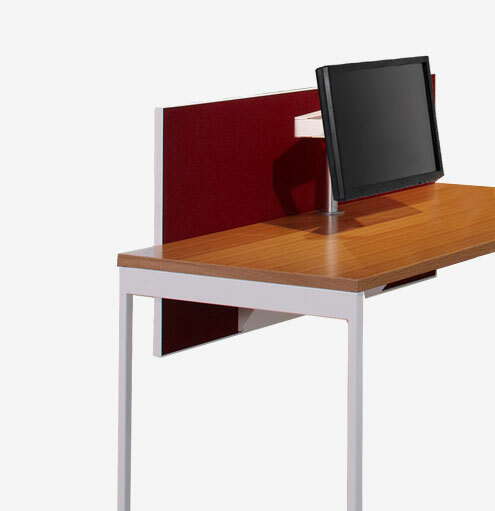 Available with steel, laminate and veneer fronts, or with fronts to specifically coordinate with Dividends Horizon, Template and Morrison systems. Series 2 can be styled to fit any office aesthetic. VALUE. 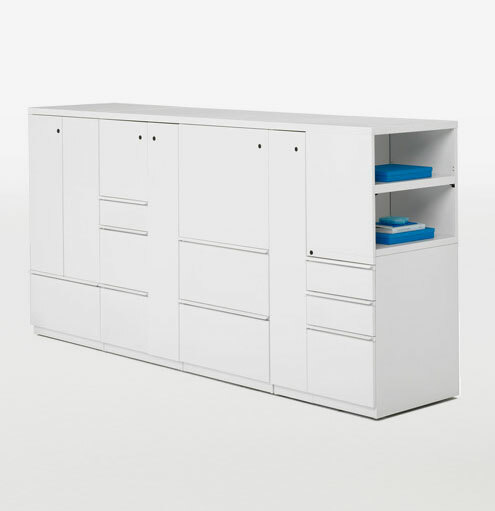 Engineered and constructed to offer an efficient, lower-cost storage solution. AESTHETIC FLEXIBILITY. With numerous paint colors, veneers and front styles, Series 2 is designed to complement any system and any interior. DURABILTY. Series 2 is constructed with high-quality materials and finishes, and fabricated to Knoll standards. 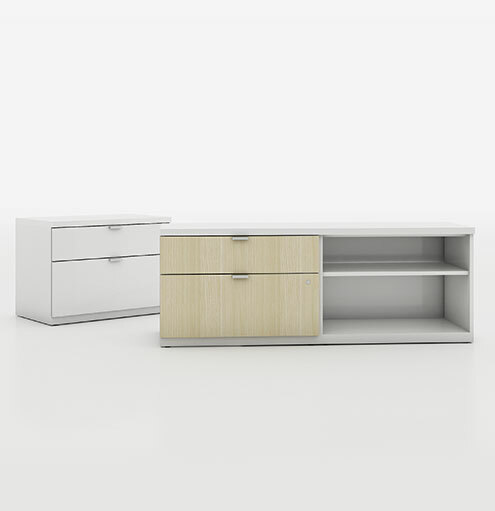 Select Series 2 pedestals and storage towers with Template pull are now available with wood drawer fronts with laminate finish, lending a warm aesthetic and promoting further product blending in the open office. Available in all Knoll Core Standard Laminates. Single and double-wide Series 2 floorstanding pedestals support worksurfaces while providing under-desk organization for files and personal items. Specified with an optional cushion, the mobile pedestal becomes a pull-out seating option for impromptu collaborations. Offices are changing — personal cubicles are going away, panel heights are lowering and the average square footage per user is shrinking. Despite this reduction in space and furniture per person, storage remains an essential requirement for every member of the team. Series 2 towers provide a single, compact storage solution for managing binders, files and personal items that were once housed in more traditional, cubicle-based storage systems. 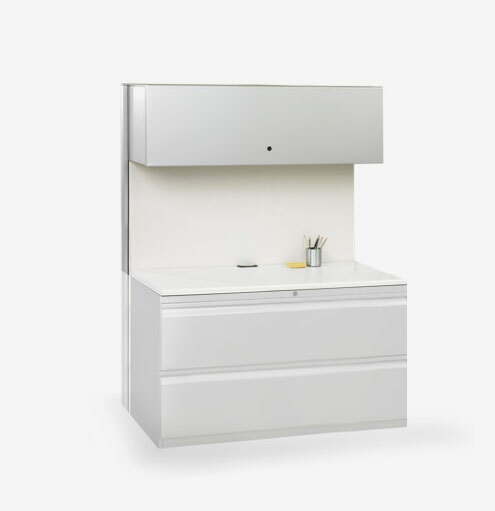 In addition to pedestals and storage towers, the Series 2 family includes overhead cabinets, overhead bookshelves, privacy screens and modesty panels, allowing you the freedom to design a storage solution that works for you. Width: 30", 36", 60", 66", 72"
Width: 48", 54", 60", 66", 72"
Width: 18", 24", 30", 36"
Height: 42", 50", 57”, 64"
Width: 24", 30", 36", 42", 48", 54", 60", 66", 72"